Hehe… Just had to post this!! Just pulled up my first carrot, it smells so carrot-y!! I think I might leave the others to get a bit bigger though 🙂 click the photo to enlarge. 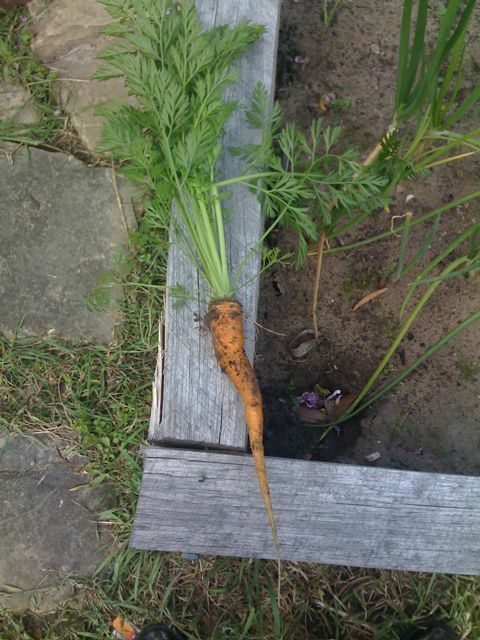 This entry was posted on November 9, 2008 at 2:45 pm and is filed under veggie patch. You can follow any responses to this entry through the RSS 2.0 feed. You can leave a response, or trackback from your own site.